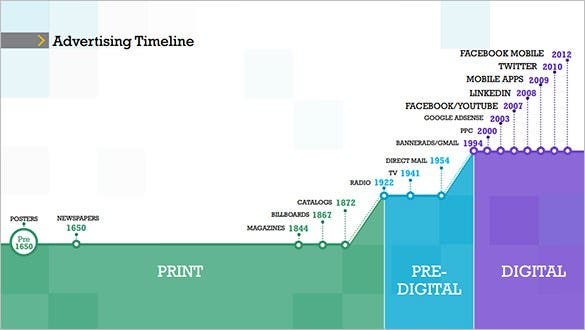 The first thing you need to understand is that no product can sell itself, and this is exactly why you need an advertising timeline template. A clever marketer knows that if they do not have a good marketing strategy in place, no matter what they do, they marketing efforts will never bear fruits. Every Advertising timeline template you see at work today is a good example of the exact tools marketers use to sell themselves. 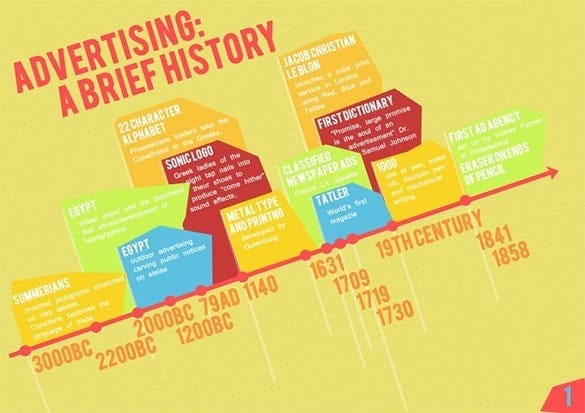 This interesting marketing timeline template documents the different stages of advertising since the inception of the industry, starting from the print media to pre-digital and finally the contemporary digital media. 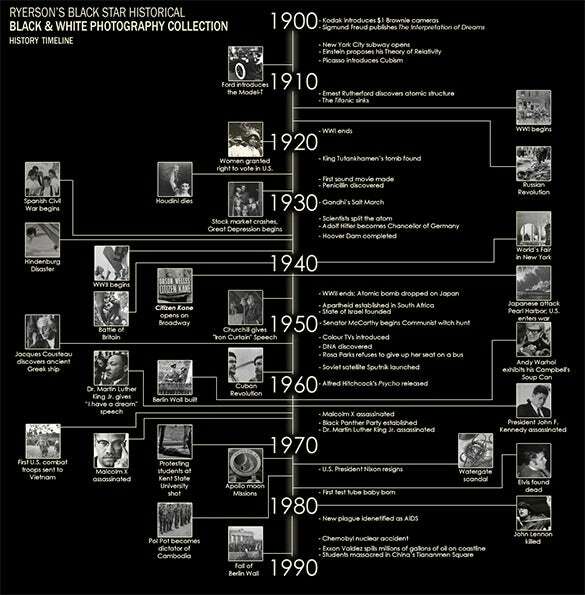 This timeline offers sneak peek into the evolution of photography starting from 1900 till 1990. The timeline contains both images and textual data as well as important events shot over the years. 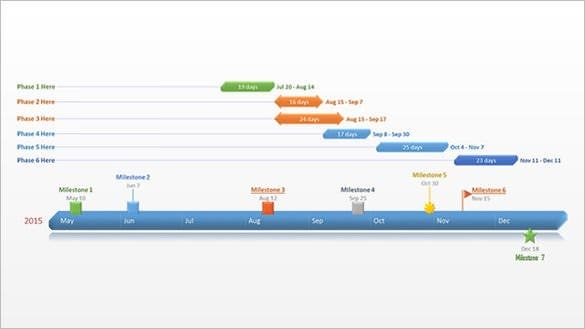 This marketing plan advertising timeline template has got the timeline bar located at the bottom of the page. The place above the bar is for the different phases of the plan and the tasks assigned under them. 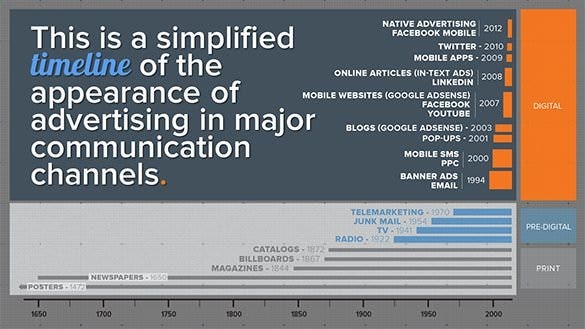 This inbound marketing history timeline cover a wide time-phase starting from 1839 till the future expectations. 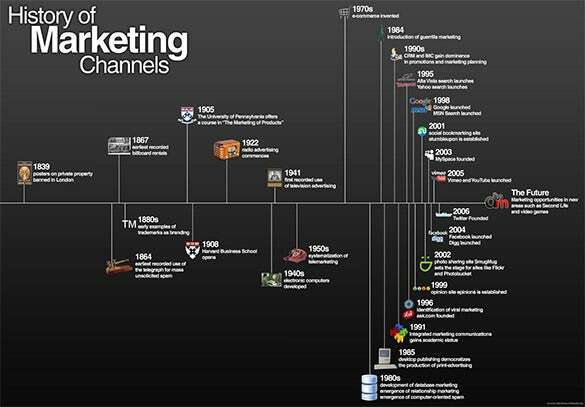 It documents all the important channels of marketing introduced in different time period within the span. 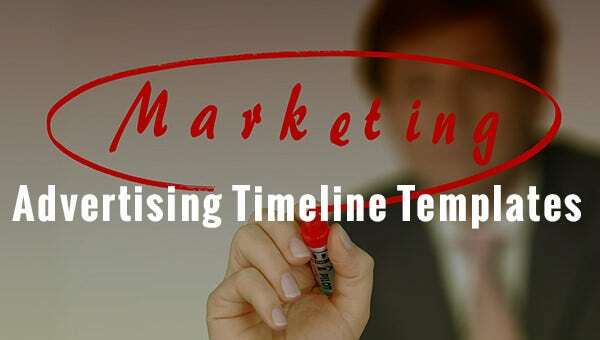 Free sample advertising timeline templates are tool, developed and made available free for download in best format download, to help you create an effective marketing product with ease. As long as you have a solid marketing timeline, your product should sell easily no matter the level of competition in your line of products.